Vitamin B12 is already known to be an essential nutrient, but with at least 10% of the population coming up deficient on Vitamin B12… what’s the exact impact it’s having on their health? Researchers have pulled apart Vitamin B12 deficiency, eliminating other mechanisms for health problems in their test worms. The results? Being short on Vitamin B12 damages mitochondrial health, and makes the risk of infection for a couple of specific bacteria higher. The research is significant enough that it could change controls for lab—test worms diet (not having enough B12) could be causing other problems, changing results. The research may also end up improving outcomes for hospital patients, helping to reduce some hospital acquired infections through dietary changes. You can put this information to use in your own life; after all, we all benefit from a healthy diet, and this just illustrates some of the why and how. A daily multivitamin provides a safety net for all the nutritional basics, making sure you start each day with a nutritional boost that will support your body regardless of your diet the rest of the day. 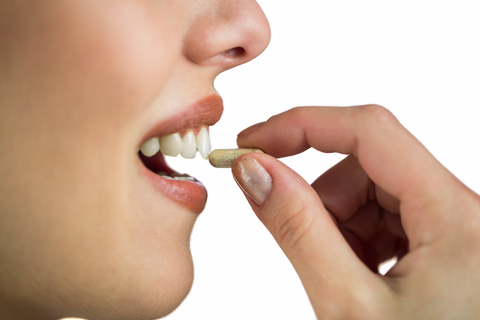 Everyone benefits from a multivitamin, it helps prevent common deficiencies like Vitamin B12, Vitamin D, and more. While everyone could use a little boost, some may need a little more. Those suffering from gut health issues (like Crohn’s) or who limit their diets, and all of us as we get older may experience some decline in our guts ability to absorb nutrients. Taking a daily multivitamin is a great way to support our overall wellbeing, helping us as we age, supporting the immune system, and making that feeling of wellness easier to reach.